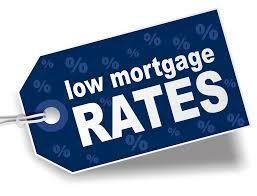 This week the Los Angeles Times reported that mortgage rates fell to a 9-week low. This may come as good news to those who have not taken advantage of these historically low rates. It also bodes well for new and resale housing–both key drivers of the economy. To read the entire article CLICK HERE. This entry was posted on Friday, September 27th, 2013 at 11:43 am	and is filed under Economy, Main, Marshall Eichenauer. You can follow any responses to this entry through the RSS 2.0 feed. Both comments and pings are currently closed.